DOBROGEA GRUP and RAISIO FINLANDA introduced on the Romanian market the first functional bread that reduces cholesterol. 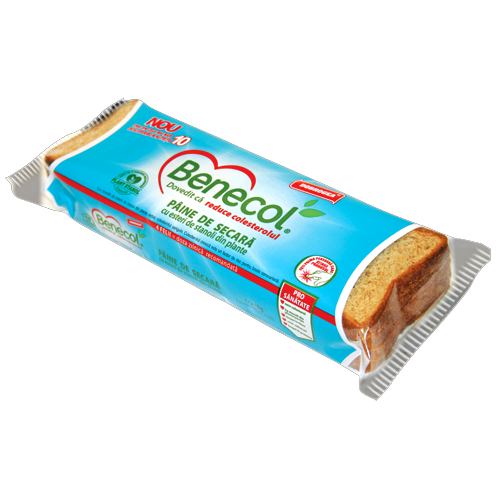 The DOBROGEA-BENECOL® rye bread is a low carb bread- Reg (CE)1924/2006. It’s a trifunctional bread, in addition to cholesterol-lowering effect, has a high content of fiber, which helps to regulate intestinal transit and at the same time, has a low carbohydrate content making it suitable for persons who have diabetes.